A graduate of Northern Kentucky University, Sarah joined the Merion Village Dental team in 2014 as a scheduling coordinator. 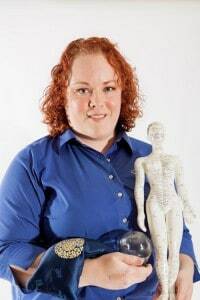 Not only is Sarah excellent at customer service with MVD, but she has also been practicing as an acupuncturist after graduating from the American Institute of Alternative Medicine in 2012. Sarah and her husband, Tony, live in German Village and enjoy spending quality time with their dogs, Sydney and Lucy, and their turtle, Jack.